In Roundhay Park, is set out the history of the earliest known generations of this branch of the Burnell family. Here we continue the history of Robert Burnell, who moved from Roundhay Park to Shadwell in the parish of Thorner some time before 1717. Here he was a small scale farmer. Robert and his wife, Jane Wiggin, had four sons: Samuel (b1721), Timothy (b1724), Benjamin (b1727) and Abraham (b1730). Although all four married, neither Benjamin nor Abraham had children. 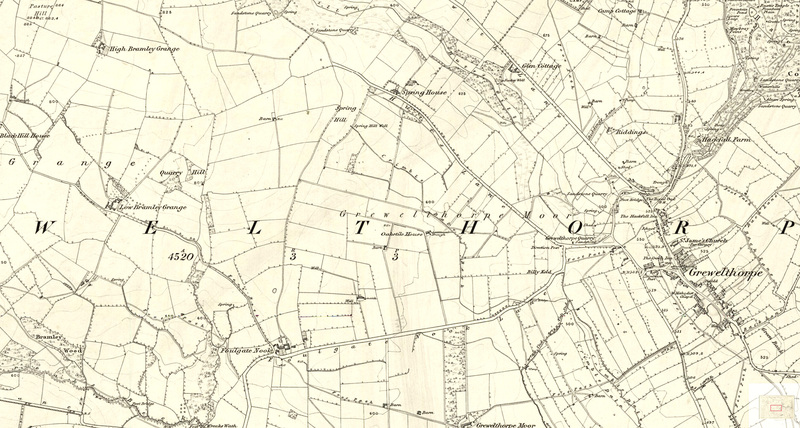 The oldest son, Samuel, moved further northeast and from 1763 was farming near Wetherby. Timothy also moved northeast, to Little Ribston. 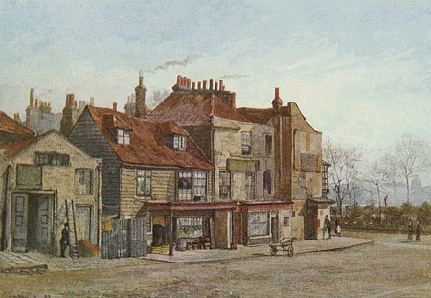 Benjamin continued to live in Shadwell and was reasonably successful as a farmer, sufficiently so that when he died in 1808 he was able to leave land in Shadwell to Samuel’s children, Robert, Caleb, Benjamin, Isabella (Procter) and Ann (Dixon) and land in Little Ribston to Timothy’s son Peter with instructions that amounts be paid from this to Timothy’s other children, James, Abraham and Elizabeth (Nichols). However, it was the youngest of Robert’s children, Abraham, who did really well for himself. He did not follow his brothers into farming, but at some stage must have acquired experience in trade. Before the age of 30, he took the major step of moving to London to seek his fortune. We find him in the Land Tax records for 1762 living at 133 New Bond Street, the owner of a haberdashery and household hardware shop. At this stage, New Bond Street was a comparatively recent development on a field alongside the River Tyburn constructed by a consortium led by Thomas Bond during the 1720s. It mostly consisted of narrow town houses where the proprietor lived literally above the shop. The illustration shows typical houses in the street, but not number 133. 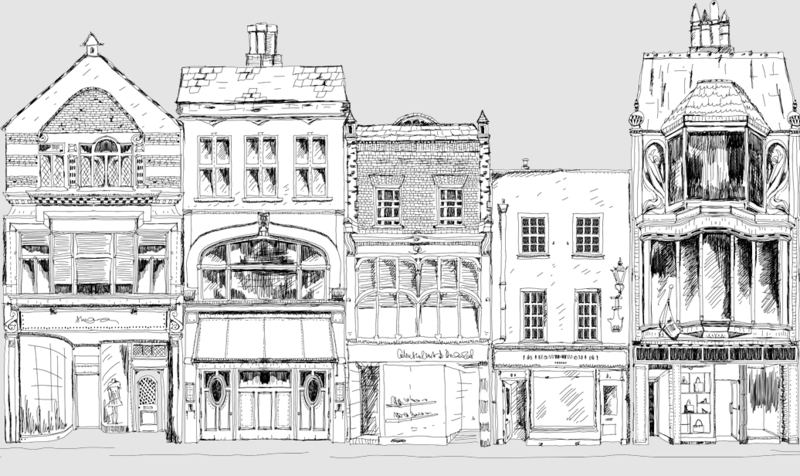 At the time Abraham moved there, New Bond Street was just beginning to become fashionable, partly because it had pavements raised above the dirt of the road along which fashionable society could promenade. It was only in the 18th century that shopping became a pastime of the upper classes as opposed to something to be left to servants. In 1784 the Duchess of Devonshire, a prominent socialite, encouraged a boycott of the shops in Covent Garden where the residents had voted against the sitting member of Parliament and coalition leader Charles James Fox. She encouraged people to shop instead in New Bond Street. The ribbons and buttons which Abraham sold would have attracted upper class ladies and the trade directories of the period show that from 1780 he had moved into selling clothing as well as haberdashery and cut out the household hardwares. By the end of the 18th century, New Bond Street was frequented by a group of young men known as the Bond Street Loungers who perfected a distinctive walk known as the Bond Street Roll. New Bond Street became in the 19th century the most up-market shopping street in London, but by this time Abraham had retired. At some point Abraham married, but the only evidence for this comes from his will where he asks to be buried in the same grave as his "dear wife, deceased". From the fact that bequests were left to his nephews in law, John and William Cousins, we may infer that this was the maiden name of his wife. Perhaps in due course evidence of the marriage and of her burial will be found. The extract from this map of 1746 shows the layout of the streets at that time and the approximate location of Abraham's shop. This contemporary satirical print includes the symbols of Neptune (Rodney), Britania (Fox) and the Devil (Lincoln) with a realistic portrayal of polling. Courtesy of The British Library. The Fox-North coalition proved unpopular and was dissolved by George III in 1784. In the subsequent election, Fox fought to retain his Westminster seat against Lord Hood and Sir Cecil Wray. Abraham voted for Hood and Wray. After 40 days of polling, Fox won by the narrow margin of 236 votes. Both sides had engaged in dubious practices securing false votes while preventing opponents' supporters from voting and the outcome was contested. There was a surprising amount of doubt about who was entitled to vote. One man voted for Hood and Wray on one day and Fox on another, believing that as he owned two houses, he was entitled to vote twice! 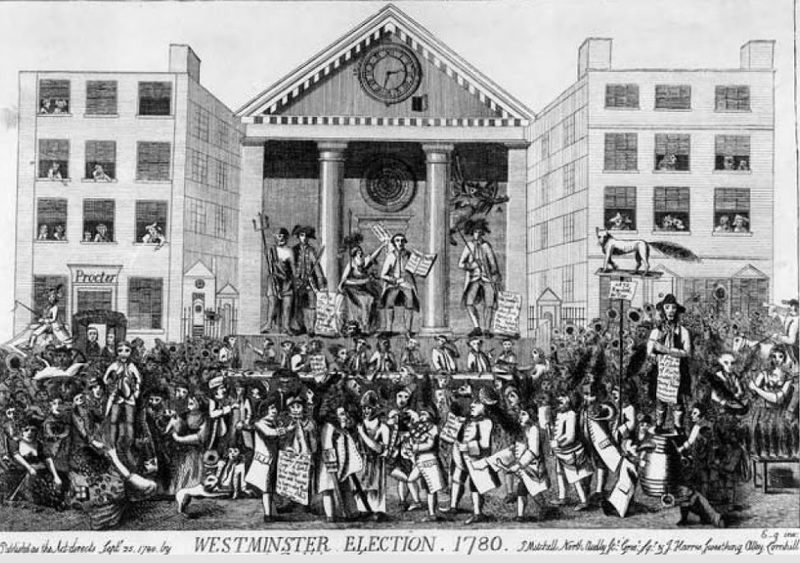 While Abraham voted against the radical candidate in these two elections, this may be more out of a personal dislike of Fox, since in the 1774 election he had voted for Viscount Montmorres and Viscount Mahon who were associates of the radical John Wilkes. Abraham's position as a property owner and taxpayer also meant that he could be asked to serve on the Coroner's Jury and we know of four inquests in which he took part. On 14th January 1764 the case concerned Ann Gascoine, servant to Lady Tyrconnel, who gave birth to an illegitimate female child who died shortly after childbirth. Servants at this time were often prey to the attention of their masters. It was ruled that death was due to natural causes and not to any action by the mother. Then on 30th July 1768 the inquest concerned Thomas Perrin who accidentally drowned while bathing in water near Chelsea Water Works. The fact that his death had occurred only two days earlier indicates how rapidly jury members were required to respond to a summons. They usually physically inspected the body before drawing their conclusions. 8 of the 12 jurors lived in Bond Street, 1 in Grosvenor Mews and 3 in Pimlico. Next on 16th January 1775 there was an inquest concerned an unknown man found drowned and floating in the Thames. The jury found no marks of violence, but could not reach any conclusion as to how he had drowned. Finally, on 11th March 1783, Abraham was on the jury inquiring into the death by gunshot of a John Argyle. The Sunday School movement began in the 1780s, frequently associated with Methodist or other non-conformist chapels. The curriculum was not confined to religious subjects but was designed to give working class children (and occasionally adults) a broader education. It ultimately paved the way for the introduction of organised state education in 1870. Lawrence Street runs down to the River and contained a mixture of housing (some quite grand) together with smaller workshops. From 1750-1784 the Chelsea Porcelain Works was located in the Street, but this would have closed by the time Abraham moved here. 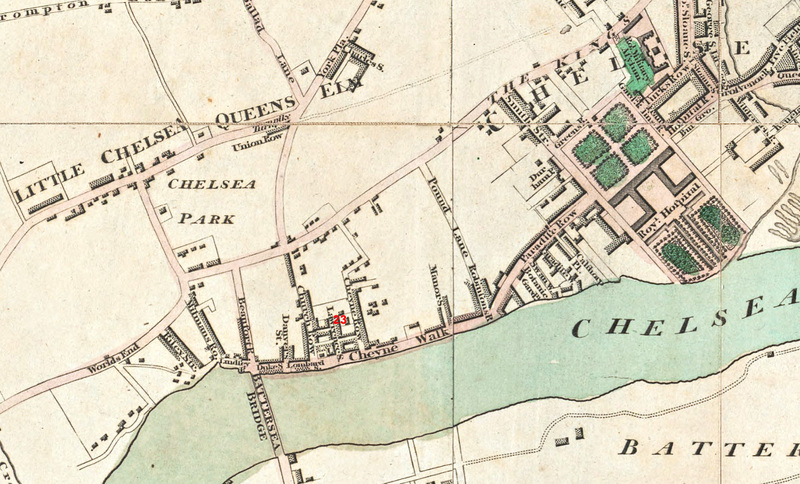 This view shows the end of Lawrence Street where it meets Cheyne Walk and the River Thames. 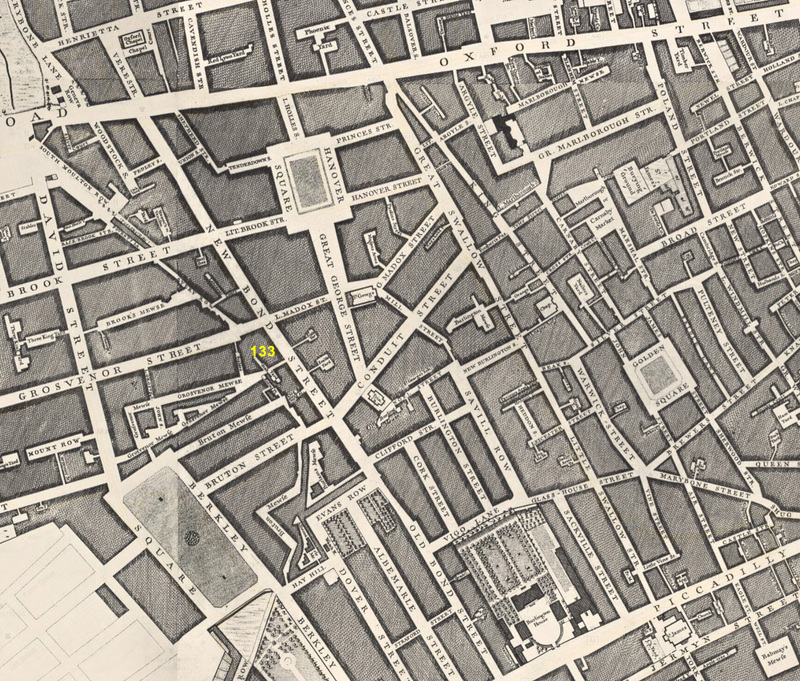 The map below dates from 1814, 10 years after Abraham's death and shows 23 Lawrence Street. Map provided by Harvard University. Timothy would have been too old to work the land and in practice it may have been taken over by Timothy’s son, James. James witnessed the signatures on the deed and we know he later lived at Bramley Grange. The property included not only the buildings and surrounding land but also rights to two pews in Kirkby Malzard Church opposite each other against the south and north walls. After buying Bramley Grange, Abraham made a codicil to his will leaving the freehold jointly to James and Abraham, sons of Timothy, but with the stipulation that they paid one thousand pounds to the children of Peter and Elizabeth, Timothy’s other two surviving children. When Abraham died in Chelsea in 1804, his estate, including the Bramley Grange farm was valued at £7500. This sum in 1804, compared to average earnings then, would be worth over £6m today compared to today's average earnings. However, its purchasing power in 1804 would be only equivalent to about £500,000 in today’s money. This is because goods were relatively much more expensive in 1804 than they are today. On either count, Abraham was a wealthy man when he died. Lawrence H. Officer, "Purchasing Power of British Pounds from 1264 to 2007." MeasuringWorth.com, 2008. Abraham left specific bequests to all his nephews and nieces, small sums to relatives through marriage and to friends, and some money to St George’s Hospital and the Sunday School. It would seem that he had a servant or servants, because they were to get gratuities. The balance of the estate (excluding Bramley Grange) was divided equally between Peter, James and Abraham (sons of Timothy) and Robert (son of Samuel). James was 45 when he inherited half of Bramley Grange. He reached an agreement with his brother Abraham who had inherited the other half to buy out his share on 5th April 1805, immediately after probate had been granted. (Wakefield Deeds EU 307). Abraham had a successful business as a corn merchant in the centre of Leeds and was no doubt happy to leave the farming to James. It seems likely that James moved permanently to Bramley Grange around 1804. We know that as late as 1802 he was still working as a carpenter in Little Ribston (Parish record for the birth of his son Abraham). However in May 1804 his eldest daughter got married in St Andrews Church in Kirkby Malzard and her address in the parish record was given as Bramley Grange. James remained at Bramley Grange until 1818. By then he was 59 and may have been finding the farming too much. Anyway, he sold some or all of the land on 17th February of that year to Thomas Durham of Masham, a grocer, linen and woollen draper and to William Lightfoot of Howe Farm, Masham, a yeoman. One complication of the sale was that Peter had inherited the tenancy that Abraham originally granted to Timothy, so Peter was also a party. (Wakefield Deeds GR 609). James later moved to the nearby village of Grewelthorpe where he died in 1844 aged 85. Mary, his wife, had died in 1819 at the age of 60. There is no doubt that the money James and his brothers inherited from their uncle Abraham increased their status and enabled their own children to prosper. James’ eldest daughter married a farmer in 1804. His son James became a schoolmaster, as did the youngest son, another Abraham. So perhaps one of the things James was able to buy for his sons was an education. Peter also benefited. He inherited land from his uncle Benjamin and got £500 plus a quarter share of the residue of the estate from his uncle Abraham. He took up farming and left his sons Robert and yet another Abraham to carry on the joinery business in Little Ribston. He was a staunch Methodist, having been described as a Methodist preacher when he married in 1780. This was a period of rapid expansion of the Methodist Church with many new chapels being built. Peter, with other local Methodists, was involved in the purchase of land to build new chapels. On 27th June 1815 he and others purchased land at Cherry Gart, Knaresborough, almost certainly to build a chapel, although this is not stated. Peter is described as a “gentleman”. (Wakefield Deeds GH 138). On 7th May 1817 another group including Peter purchased land in the Low Field Close at Boston Spa with the intention of “now erecting and building a certain Chapel or Meeting House for the Worship and Service of God”. (Wakefield Deeds GN 644). 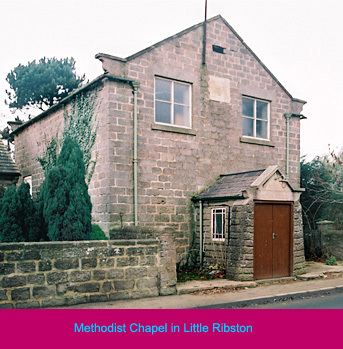 Then on 17th March 1818 we find Peter as the lead name on the deed to purchase land in Little Ribston “on which piece or parcel of land a chapel or meeting house in which divine worship is intended to be performed…” (Wakefield Deeds GS 577). No doubt Peter’s inherited wealth enabled him to contribute financially and enhance his status in the community, as well as putting the joinery business on a sound footing. The names of the uncles, Abraham and Benjamin, became family names which crop up down the generations to the present day.